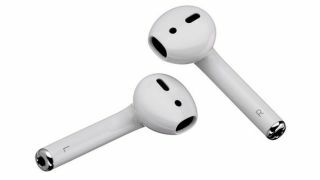 Save on the Apple AirPods in the Black Friday sales | What Hi-Fi? Apple fans, rejoice - Apple has jumped on board the Black Friday bandwagon. Usually eager to shy away from any discounts, you can save on a wide range of Apple products over the Black Friday weekend. And that now includes the AirPods. The official Apple Black Friday deals focus on gift cards when you buy selected products from the Apple Store, but there are also some tasty Apple AirPods deals. And this is the very cheapest price right now: £139 from BT Shop (an authorised Apple reseller).